Glendale (population almost 240,000) is a suburb of Phoenix and the fourth largest city in Arizona. The community was founded in 1892 as the “Temperance Colony of Glendale” by members of the Church of the Brethren from Illinois. During the early 20th century, the community’s economy was diverse, including irrigation farming, sugar beet processing, and ice production for cooling produce shipped on the Santa Fe Railroad. In World War II, the U.S. Army Air Corps established Thunderbird and Luke Airfields nearby, bringing an influx of servicemen to the area and creating a boom in wartime jobs. Today, Luke Air Force Base is home to the Air Force’s largest fighter wing and remains important to Glendale’s economy. A building boom in the 1910s included development of the Catlin Court subdivision, one of Glendale’s first planned neighborhoods and now a National Register Historic District. In 2004, the City partnered with preservation organizations and private property owners to promote preservation in the district. Activities included: expanding the historic district boundaries; weatherizing, stabilizing, and repairing ten contributing properties; and offering free classes to educate residents about preservation’s benefits. Catlin Court and the downtown commercial district are vibrant tourist destinations with many antique stores, specialty shops, and restaurants. 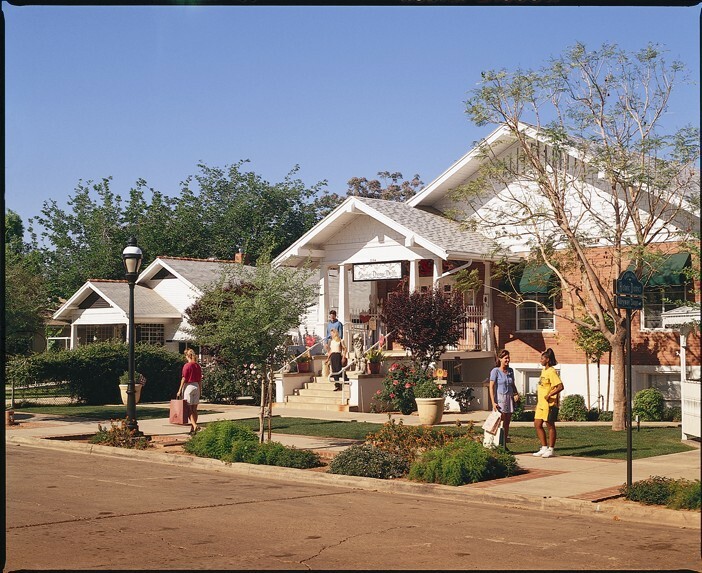 The Governor and the Arizona Office of Tourism recently recognized historic downtown Glendale as one of an elite group of “Arizona Treasures.” Visitors interested in learning more about the history of Glendale can follow a self-guided downtown heritage tour, which includes interpretive signage. Designated a Preservation America Community in July 2006.